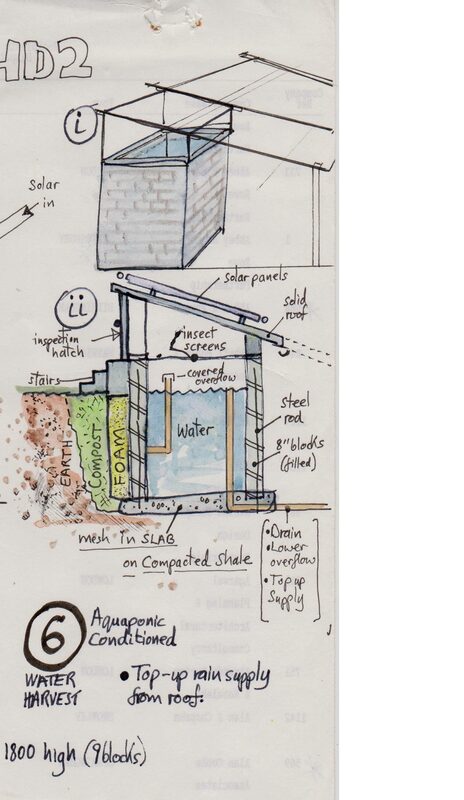 WEST SPRING (above diagram) ….. 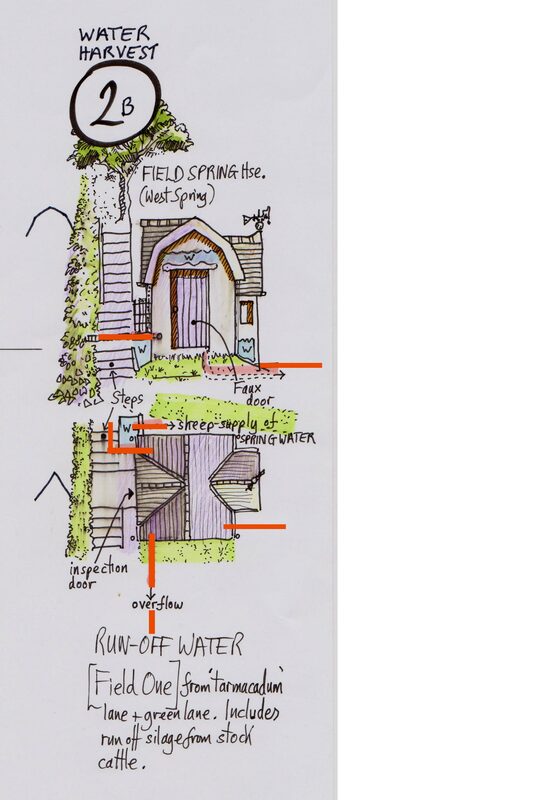 Emerging behind this store of road run-off water (2B) is the original West Spring – supplying clean water for pasture grass and sheep alike. 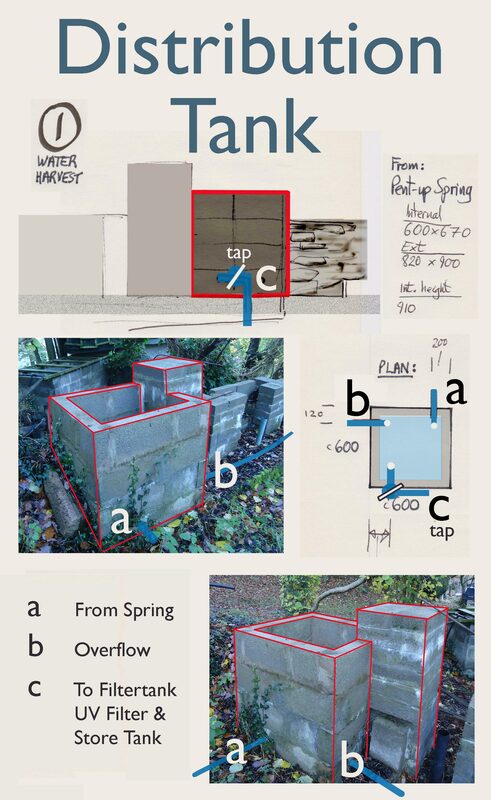 The water from Oak Spring reached the farmhouse kitchen through a one inch iron pipe – the remains of this are still visible (2018). 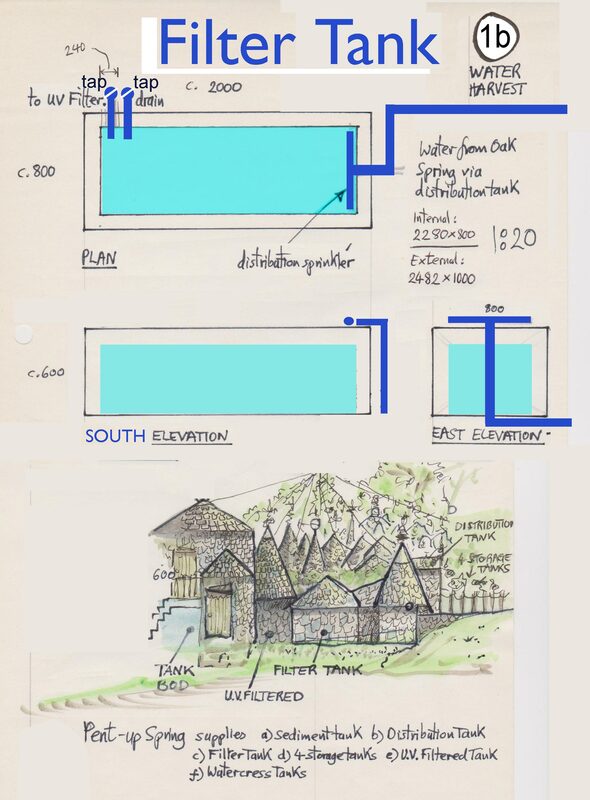 Work continues to renovate the original Spring with its two giant oak trees at its sides and to replace the early supply line, adding settlement, distribution tank (see below diagrams), baffle filtration and UV filtration. 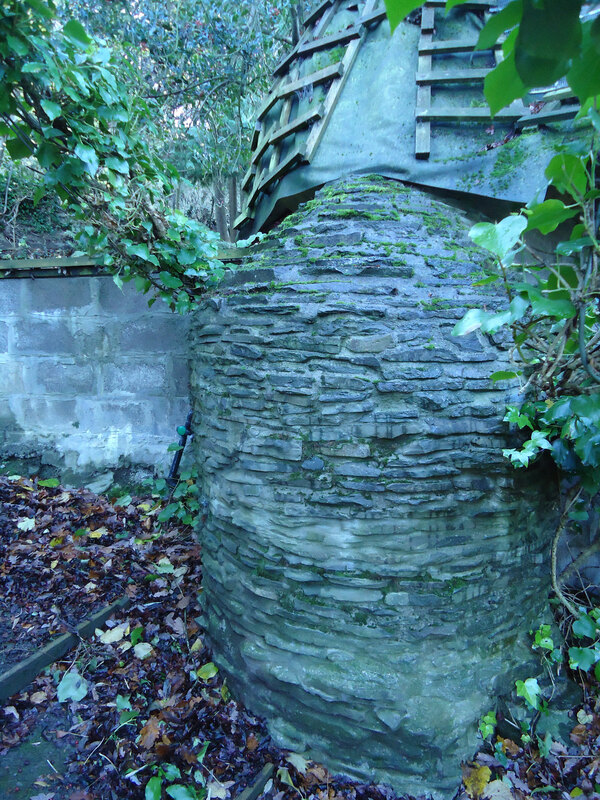 The filtered water will be stored in a large recycled concentrated orange juice tank, kindly donated to our charity by Colin Evans, which has been stone clad (See photo below). 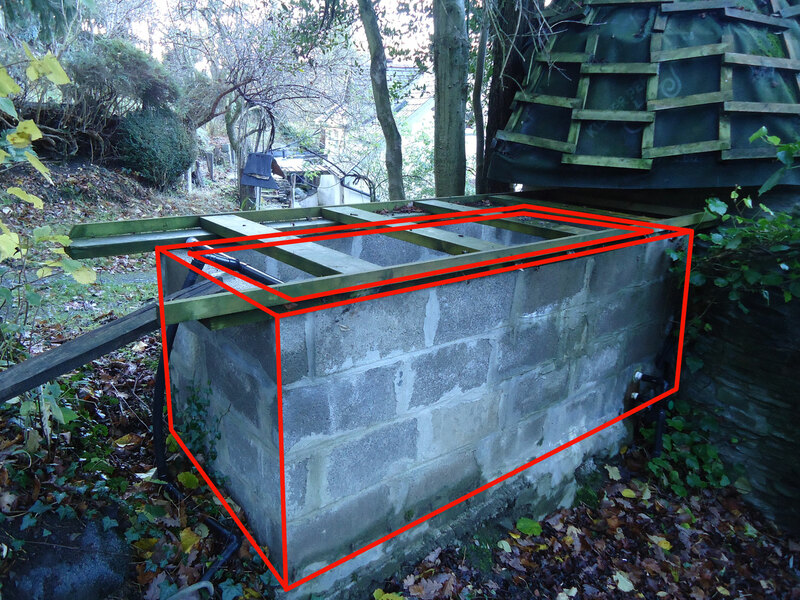 The water from Oak Spring passes through the distribution tank and into a sprinkler bar above the filter tank (see above) and enters the Tank Bod which encloses the UV filter and Storage Tank. 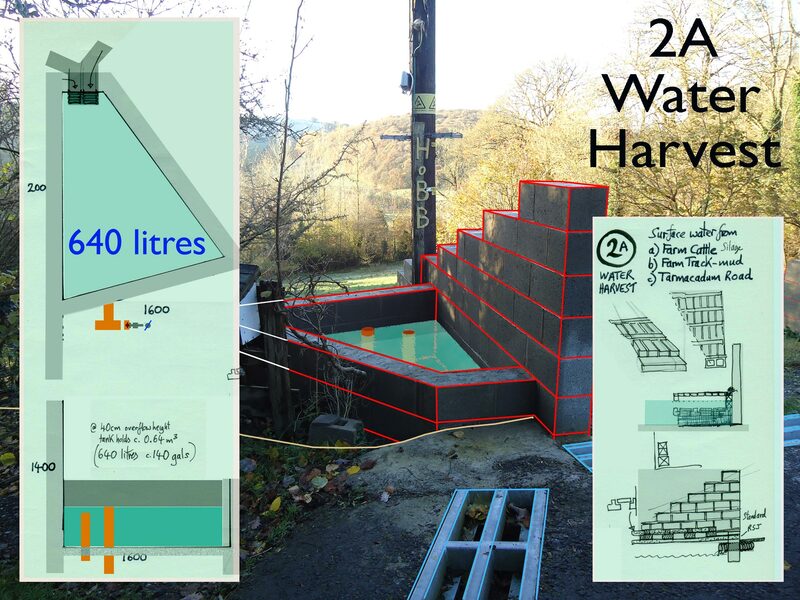 Tank 6 – the header tank for the hydroponics bod and research aquaponics bod (diagram above) is able to receive rain water, recycled/conditioned water, natural water from pond/s, spring water and if ever required, grey water (photo below).